But within three years of that split, the CPC managed to engineer another. Led by a man named Charu Majumdar, this new group rejected elections and opted for Mao Zedong’s “protracted people’s war” doctrine. The 1967 Naxalbari uprising was quelled quickly. Majumdar was captured and killed in police custody in Calcutta soon after. But the movement had electrified hundreds inside the ranks of the communist party and soon groups emerged across the country pledging themselves to the “Naxalbari path.” And attesting their loyalties to the CPC, slogans of “China’s Chairman is Our Chairman” appeared on walls in Calcutta, Bombay and Hyderabad. 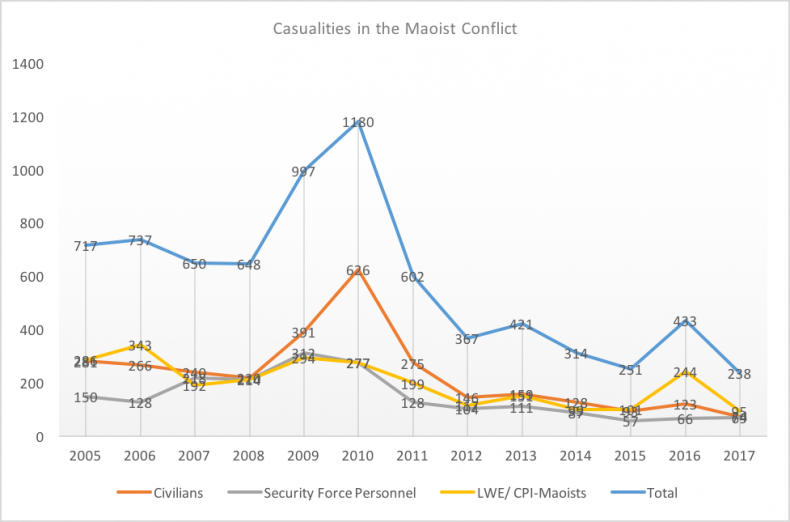 For example, in 2007, the Maoists played a key role in bringing down the 34-year run of the Communist Party of India (Marxist) as the ruling party of West Bengal. 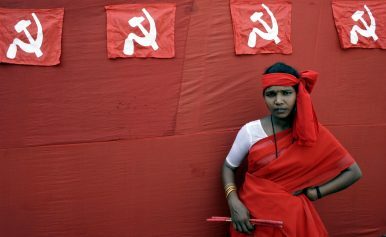 Involving themselves over a land acquisition dispute in Nandigram, Maoist guerrillas declared war on the Marxists and killed and drove members out of their homes in large numbers. This led to a landslide win for the opposition leader, Mamata Banerjee. The operation was led by famed guerrilla leader Mallojula Koteswara Rao a.k.a Kishenji. Irrespective of what opinion one holds of the Indian Maoists and their approach to politics, or what one makes of their mixed bag of setbacks and successes, the Indian government can’t wish away their existence – neither their military might nor their political raison d’être. Steeped in a history as old as the Indian polity itself and after half a century of warring, the Indian Maoists remain a force in the country. Siddharthya Roy is a journalist specializing in politics and global affairs who has reported extensively from South Asia. Is Rahul Destined for Power? Rahul Gandhi is seen by many as a future Indian prime minister. The results of his grassroots campaign in Uttar Pradesh will give a good clue of his prospects. The Anglosphere Can Lead the WorldIndia's Stars Go From Bollywood to Ballot BoxIndia Ends the Curse of Instant DivorceNarendra Modi: The Limits of a Political Rock StarKejriwal Resignation: Failure or Strategy?